LabLogic’s PET/SPECT Radio-TLC Scanner, the innovative Scan-RAM, is designed to meet the ever increasing demands of the modern laboratory. 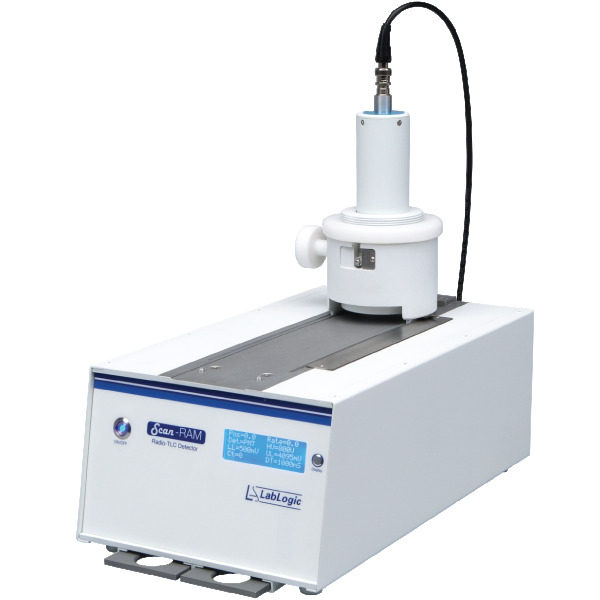 Versatile and compact, the instrument is fully controlled by market leading radio chromatography package Laura for PET, providing accurate and reproducible results for radiochemical purity measurements. The Scan-RAM has a range of innovative features including a motorised detector, unique tlc plate beds and an adjustable collimator. Features such as a single power button, coupled with the industry standard Laura for PET software offers users the ultimate in compliance.